Happy Reformation Day! Also, be sure to check out the Reformation Day Symposium at Challies.com. I am teaching my oldest son church history this year, so I just had to put this one up. (Perhaps he can use it to study for his final.) I am not sure whether they should call it the Modern Church Historical or the Modern Church Hysterical! 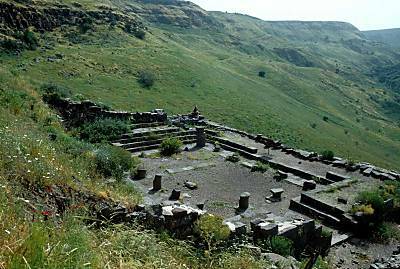 The new ESV Study Bible Blog has a helpful article on the Gamla Synagogue which was built during the first century B.C and destroyed by the Romans in A.D. 67. The synagogue was never rebuilt which gives us a glimpse of what the synagogue would have looked like in the first century A.D. The structure measures 84 x 56 feet (26 x 17 m) and could have held a few hundred people sitting on rows of stone benches which lined the walls. George Herbert is one of my favorite poets. He was born on April 3, 1593 into a privileged Welsh family. He earned two degrees at Trinity College in Cambridge. In 1620 he was elected public orator of Cambridge and was elected to Parliament in 1624. However, in 1627 he resigned from public office and soon after began to prepare for ministry instead. In 1630 Herbert took a small church in Bremerton which he helped rebuild with his own funds. He spent the final three years of his life preaching, caring for the people in his parish and completing the two major works for which he is best known today: The Country Parson, a work of prose which explores the personal life and ministry of the pastor, and The Temple, a collection and sequence of poems on Christian themes. I hope I have whetted your appetite to learn more about George Herbert. 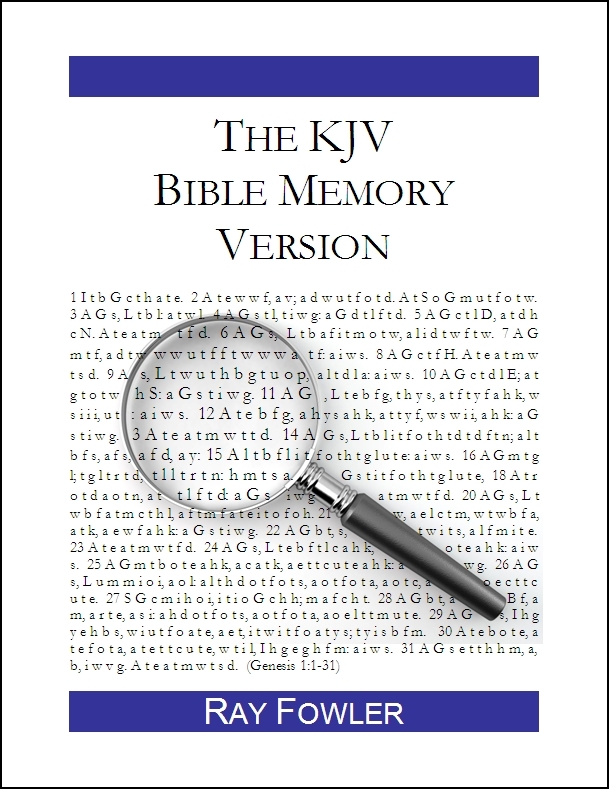 This is Holy Week, and over the next couple days I will be posting some of Herbert’s poems to assist you in your reflection on the events of Good Friday, Holy Saturday and Easter Sunday. As with all poetry, you will get the most out of the poems if you take them slowly and read them through several times, out loud if possible. I invite you to come back later today and throughout the weekend to enjoy these poems by George Herbert. May God bless you this Easter season as you meditate on what He has done for you in Christ our Savior. Last month I blogged about my memories of the Great Blizzard of 1978. So I thought it would be fun to make a list of the various severe weather and seismic events that I have personally experienced. I have been through blizzards, earthquakes, hurricanes and tropical storms, but no tornados (yet?). Here are the five main events I have experienced so far in my life. Blizzard of 1969 (February 22-28, 1969) — This one has also been called “the 100-hour storm.” I was only 6 years old at the time, so I don’t remember much about it. I was living in Wenham, Massachusetts. I remember it seemed to snow forever, and the snow was piled up sooooo high on either side of the driveway. The history books say it was about 32 inches of snow. Blizzard of 1978 (February 5-8, 1978) — I was 15 years old, still living in Wenham. This blizzard dropped 55 inches of snow in our area over a period of three days. No cars were allowed on the roads for a whole week. And of course that meant no school for a week either! Whittier Narrows Earthquake (October 1, 1987) — I was living in Burbank, California serving as youth pastor by day and working as a recording engineer by night. (And attending seminary somewhere in between!) On the day of the earthquake I had been working in the studio all night and was trying to finish off a mix when the quake suddenly hit at 7:42 a.m. It felt like a train came barreling right through the middle of the studio. The quake was only 5.9 magnitude on the Richter scale, but it was one of the most terrifying things I ever experienced. Years later I would still jump if a heavy truck drove by causing the house to shake for just a second. The Perfect Storm (October 27 – November 1, 1991) — Yes, this is the storm that was featured in the book and movie by the same name. We were living in Beverly, MA at the time. My wife, Rose, had just given birth to our first child the month before. To be honest, I don’t remember much about the storm. I think we were too distracted with a newborn in the house. I remember walking around the neighborhood afterwards and noticing some large trees uprooted, but that was about it. Years later I would read the book, The Perfect Storm, without realizing at first that I had actually been in it! Hurricane Andrew (August 24, 1992) — This was the big one. We had recently moved to Homestead, Florida, the town where my wife grew up. Our firstborn son was now eleven months old. The storm hit early on a Monday morning, the day I was scheduled to begin teaching Bible at a Christian School. Andrew ranked right up there with the earthquake on the terrifying scale. After the storm passed, it took us three days just to chainsaw our way out of the driveway. It was one month before classes began at the school, and two months before we got our electricity back. You can read my wife’s account of the storm here. How about you? Do you have any severe weather or earthquake stories to share? By Julius Caesar’s time, the calendar was running 90 days behind. Acting on the advice of an astronomer, he created a calendar based on the time it takes the Earth to circle the Sun. During the well-named “year of confusion,” in 46 B.C., Caesar lengthened several of the months and added a couple of temporary ones as a correction. The jubilant Roman public believed Caesar had extended their lives by the extra 90 days (you just can’t buy publicity like that). And by 45 B.C., the calendar was back in phase with the seasons. The Earth’s trip around the Sun does not take exactly 365 days, however. It lasts an extra 5 hours and about 49 minutes. By adding an extra day every four years, Caesar could roughly make up for the discrepancy. Even then his scheme ended up being 11 minutes a year too long. This may not sound like much; you wouldn’t notice the difference during your lifetime. But by the mid-16th century, the calendar had moved ahead 10 days. This shift had serious implications for the question of when to celebrate Easter. In 1582, a task force called by Pope Gregory XIII proposed that 10 days should be removed from October that year. And to make sure the calendar would then be self-correcting, leap years were subtracted from the last year of most centuries. Only those divisible by 400 would get the extra day. (That means 1600 was a leap year, but not 1700, 1800 and 1900.) This way, the calendar would gain only half a minute a year, and it would take 2,880 years before another day would need to be added. The trusty Gregorian calendar had arrived. Why Are Easter and Passover a Month Apart This Year? This week marks the 30 year anniversary of the Great Northeastern Blizzard of 1978. This powerful nor’easter formed on Sunday, February 5, 1978 and dumped up to 55 inches of snow on the northeast United States over the next three days. At times the snow was falling at a rate of 4 inches per hour. Many people were stranded in their cars and offices with snow drifts up to fifteen feet high. Some motorists stuck in the storm died when the accumulating snow blocked the exhaust of their idling vehicles on the roadways. Commuters on Route 128 were evacuated by cross country-skiers and snowmobilers. Over 3,500 cars were abandoned in the middle of the roads and buried in the snow. I was a 15-year-old sophomore in high school living in Wenham, Massachusetts at the time. No cars were allowed on the roads for an entire week, which of course meant school was cancelled, too. After the blizzard was over and we got all shoveled out, I remember walking with friends for miles around the empty streets of our town. It was a little eery seeing the whole town brought to a standstill like that. The local IGA was still open, and people were cross-country skiing to the market bringing back their grocery supplies in backpacks. Did you go through the Great Blizzard of 1978? What memories do you have? 2008 is the first time since 1952 that neither political party has a presidential candidate who is either an incumbent or a sitting vice president.